The Village of Lena is an active and lively community in Stephenson County in Northwest Illinois. 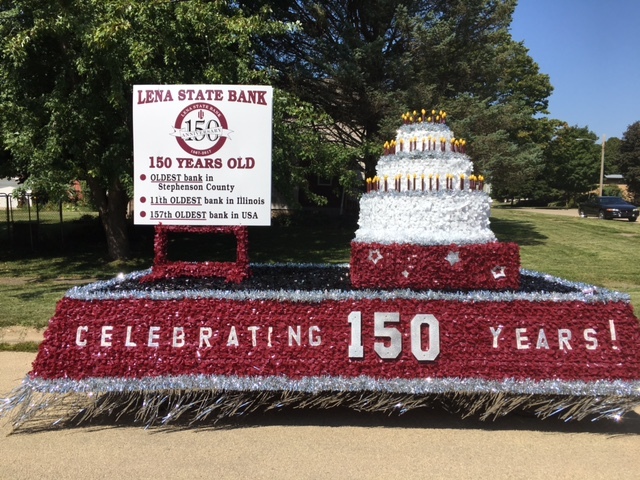 As the oldest financial institution in Stephenson County, Lena State Bank has been serving and helping Lena and the surrounding area grow for over 148 years. Lena State Bank stays involved in the community, whether it’s by volunteering talents as board members of community organizations or sponsoring an event. As a community bank, it is our role to help our community grow any way we can.